Dear readers, the guide to download iOS 7 and to install it has already been given by us. Now is the time we play our major role and inform you about the iOS 7 unlock and related basebands information. In this post, we’re going to cover several unlocks that have been released to this date. Some of the names include SAM unlock, R-SIM, Gevey SIM, ultrasn0w and factory unlock solution for IOS 7. If you’re new to iPhone unlocking, you should note that whenever you update your phone to any newly released iOS firmware, the baseband is going to get updated. However, it’s possible to downgrade iOS 7 to iOS 6.1.4 / 6.1.3 firmware. This doesn’t, however, downgrade the baseband version. The latest Ultrasn0w 1.2.8 can’t be used to unlock IOS 7 firmware. This is because a custom firmware has to be created to preserve the baseband, which is not possible to do so at the moment. You need to wait for official release of Ultrasn0w fixer for iOS 7 or new version. So it’s recommended not to update to iOS 7. Those users who rely on these hardware unlocks are in tough luck, because when they’re going to update their phone on iOS 7, it’s going to get locked again. The reason is that the baseband can’t be preserved which is why the hardware unlock is not useful on iOS 7. If you rely on such a solution, it’s recommended that you steer clear of the latest firmware. SAM unlock users who saved activation tickets have been able to enjoy the SIM-free device for a long time now. However, they can’t update to iOS 7 without getting their device re-locked. The reason for this is there is no jailbreak available for the said firmware. An untethered jailbreak allows SAM users to manually restore the activation tickets that were backed up or they use ultrasn0w for the purpose. We recommend you guys to wait for a jailbreak team to exploit this firmware before you update to it. Out of all the solutions that have been discussed so far, the best and most viable method remains the factory unlock IMEI solution. It’s a solution that stays with you for all your life and you don’t have to sweat about unlocking ever. The device can also be updated beyond iOS 7 and once your phone is SIM-free, you don’t have to worry about latest baseband updates relocking your phone as well. There are several services that claim they can provide the same value as the factory unlock solution does, but that is not possible, and only our official partner is reliable and trust worthy. Through our recommendation, you can unlock several famous carrier phones such as AT&T, O2, Fido, Telus, Vodafone, Rogers, Orange, T-mobile and many other famous carriers on iOS 7, 6.1.4, 6.1.3, 6.1.2, 6.1 and firmwares below it. 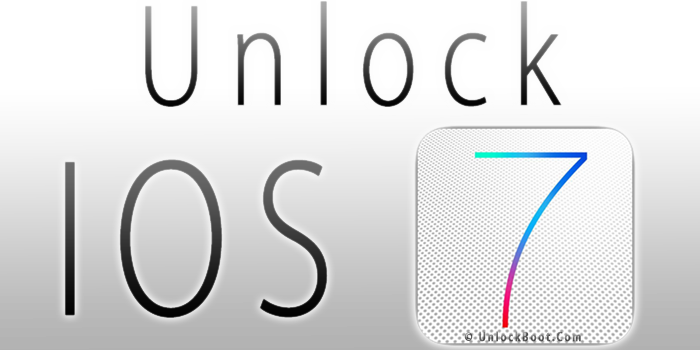 Go here to Unlock iOS 7 iPhone 5/4S/4 NOW!